To make sure you get the best deal we'll show you great prices from all of our drivers, including KM DOOR TO DOOR LTD , if they're available on the day of your move. Have a question for KM DOOR TO DOOR LTD ? No problem, send them a message and they'll email you back as soon as possible. If you have a more general question you might find it answered in the FAQ, or you always contact one of our brilliant customer service team. * KM DOOR TO DOOR LTD won't be able to see your email address. KM DOOR 2 DOOR LTD since its inception in 2012 was born out of a vision that serves customers needs. The visionary behind KM DOOR 2 DOOR LTD was a former storage employee who perceived that a new removal company should be established that will serve customers with professionalism, reliability and affordability. Therefore their first sets of customers were domestic and business customers from storage and the local community where it was established. Now it proudly serves customers from local to global. Moving can be challenging and we at KM DOOR 2 DOOR LTD endeavour to make it a smooth transition by giving you the utmost peace of mind. Staff will carry, lift and pack goods professionally for you so all you have to do is relax and look forward to your belongings or stock arriving at your new home or business premises.? A great packing service is offered in protecting your goods before it enters our vehicles. This consists of bubble wraps, boxes, covers, tapes and many more. We provide courier service (collections & deliveries) so whatever you’ve ordered and it costs too much for you to pick up or have it delivered we will promtly do it for you so it arrives on time and hassle free! KM DOOR 2 DOOR LTD are always serving both business and domestic customers alike whether online, in-store or phone orders for Local, London, Nationwide and Europe. Many businesses and domestic customers frequently do not know where to get rid of their rubbish. This is where we come alive. We will dispose of your rubbish from cabinets, pallets, boxes, paper shredding and many more. So there's no clearances too small or big. 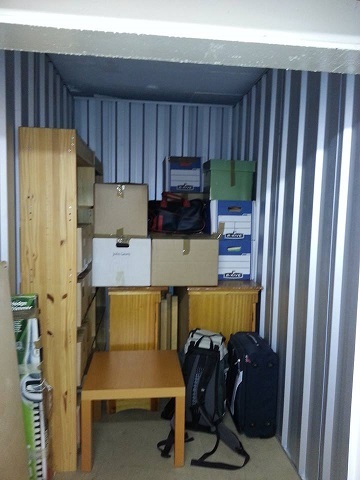 KM DOOR 2 DOOR LTD can arrange storage for you with a renown leading storage company. discount but after that period ends normal rates apply. Through KM DOOR 2 DOOR LTD you could be entitled to further discount for long term storage (i.e. 3-6 months plus). materials at the storage company. I had an excellent experience, first time using KM Door To Door and I would absolutely recommend them. They got in touch before the moving date to check in with me and make sure they had all the necessary details. Arrived prompt on the day and very cheerfully and swiftly moved me from a 3rd floor (four sets of stairs!) flat to my new place. They completely took the hassle out of my day. Thanks again! Excellent service from the moment i booked till the end. Thank you! Great experience and work thanks guys ! Reccommend to anyone who wants a fast and smooth move with an enjoyable company ! Thanks Eddie ! They were both amazing and really helpful!! We finished earlier than I thought, and they both were super polite and kind with me!! I could not recommend Eddie enough!!!!!! Amazing thank you so much!!! The initial booking was cancelled due to the driver having fault with vehicle. The substitute driver and crew were absolutely fantastic. Great at communicating, calmed our frayed nerves and went above and beyond to ensure everything was sorted. Can’t praise them enough. Thank you!! The guys were helpful, kind and quick. Really pleased. They were a big help. Excellent service! Wonderful from start to finish. I cannot recommend Eddie enough! Absolutely wonderful! Eddie was kind, considerate and helpful. Even the storage place wanted his business cards to recommend him. A stand up man, will book again! The driver was very helpful and nice. I would recommend his service. Eddie was amazing -- not only punctual, helpful with loading, and a great driver, but also a great guy to talk to for couple of hours moving to the new apartment. 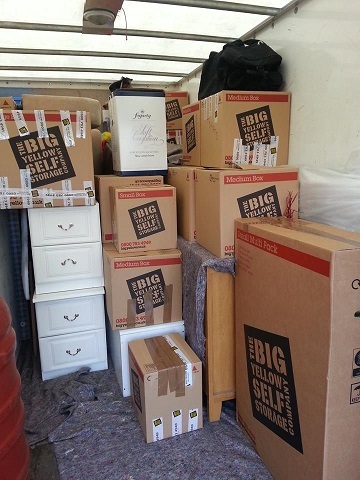 I would absolutely recommend Eddie and KM Removals to anyone else I knew. Top job! Eddie was not only extremely helpful, it was also a pleasure to meet him! Thank you so much. What could have been a very stressful process was made much better by his help and kindness. Eddie couldn't have been anymore helpful had he tried. Considering it was new years day, he was the epitome of professional and extremely efficient!! Highly recommend and would without doubt use again!! An excellent experience all round, Eddie was good fun, knew exactly what he was doing and we arrived with time to spare. Very friendly and made the whole move run smoothly, couldn't recommend enough! Awesome, really friendly and helpful - highly recommended! Very pleasant trip. The driver was very helpful and nice. Definitely recommend it! He was pleasant and completed a difficult job happily. I was happy with his work. It did work out a bit pricey though. Really cool guys and an absolute pleasure through the stress of lugging all my stuff across London! Nothing to said, just perfect ;) in time, helfull, really nice :) thx again ! Driver was very respectful and kind, he even helped us unload when he didn't have to. Great service when we urgently needed it. Eddie as great and I would highly recommend him to anyone else. Great guy and interesting chat! The driver was so respectful to us and our staff and efficent, the process took a short time.. Excellent service, call to confirm the appointment and a text to confirm they were on their way. They were quick and efficient and friendly. Great service and very polite and helpful driver. Thanks! The driver was amazing, such great service, everything was perfect. Thank you! Ryan went above and beyond. He helped me move things from the shed that didn't need to be moved, but that were in the way. He didn't mind going back when I forgot something and he came back after I left something in the van. He was in communication before coming for the move too which was helpful. Brill guy. Our driver went far and beyond to deliver great service. Very helpful, respectful and patient! People like him is a great add to your company! Thank you. Everything was fine, he arrived on time and was really respectful with my stuff. It was also great because I've booked them last minute because my other company cancelled last minute on me and I had to find someone today. 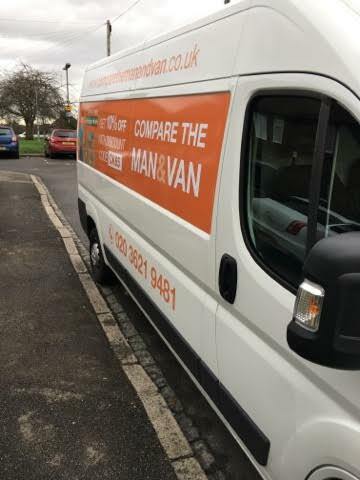 Massive help to have Man and Van! The two guys who helped us out were brilliant. Top regards to them both. Fantastic service, super friendly and helpful guys. Thanks for making my move really stress free! KM movers were fantastic. Arrived on time and were great help in loading and unloading the van. Very polite and friendly. Would recommend to friends and family. Fast and effective. Excellent service. Great guys - really quick and reliable! Only late because of traffic and kept me informed the whole time! Amazing service! They made everything so easy. Driver arrived late. He complained about the stairs even though I said my house was on the first flloor. I had to carry most of the boxes and pay £5 more because of that. We apologise for this. We have confirmed that the £5 charge were for a flight of stairs that the customer failed to state at the original booking. However, we do pride ourselves in customer service as well as customer satisfaction and we will address the issue with our driver to ensure that the proper etiquette when dealing with clients is adopted and used every time. very happy with the move. The drivers were excellent and I would give them 5 stars. They called ahead as they were in traffic. Did three pick ups for us and then insisted on helping me with the offloading! Fantastic pair. Driver and protege. Would certainty book again if I need anything moved!! He was just great. , efficient and polite and smiley. I'm very happy! Friendly driver and helper but very slow pace and performance in carrying items in loading and offloading which resulted in very long time. Both removal men were absolutely professional and superb at both ends. I would thoroughly recommend them. The driver was slightly late, probably due to traffic, but he was very good and phoned to let us know. The move went very well, the two guys were great and would not hesitate, in using your service again. Dear Cat, we are very sorry to hear that you experienced this problem. We do ask our drivers to liaise with customers prior to a booking to confirm how many passengers wish to travel in the van. If you would kindly supply us with the receipt for the replacement transport for your passenger, we will be happy to reimburse you for this. Great guys and am grateful for the move help. Late due to bad weather the night before, but two really nice guys turned up and were absolutely brilliant. Still got everything done on time. Would definitely recommend this service. They were extremely friendly, professional and took great care of my furniture. Highly recommend. Eddie and Moses from KM Removals done my move from London to Peterborough. They were brilliant! So friendly, helpful and so respectful with regards to the furniture and even wore the shoe covers I supplied! Also such great value for money. This was my second move, and if I knew about these guys then I wouldn't have used the first company! Give KM Removals a go as you'll receive 100% all the way! They were on time, were quick and efficient packing and moving and were friendly and polite at all times. I was really happy and would certainly recommend them. In fairness, there is absolutely nothing negative to say. The guys did everything required. No damage, breakages or any problems or issues. Long drive between drops. Everything well packed and secured. Very smooth move. Drivers were prompt, polite and very efficient. Would definitely recommend. Efficient, quick, friendly, and careful - the two people sent were absolutely up to the task. This is apparently a large company with multiple teams, so be aware that the people described in the other reviews are not necessarily the people you will get. My team was great but not able to communicate in English on the phone (and very slowly in person), which made things a little more stressful because we had a complicated move, but that aside I would absolutely recommend them. We were unsure what to expect having never used the service before but, having now used it, cannot speak highly enough of KM and the chaps who helped us move. Very helpful, respectful and careful with our items. Honestly, if you need help moving do not think twice about using this team. Absolutely awful service! Driver turned up 2.5 hours late and damaged numerous items as well as the walls of our new house. Was only offered a 10% discount when I complained which nowhere near covered the cost off all the damage caused. The two delivery men were very careful to avoid damage to walls when bringing in large items. Good job, well done guys! Worst moving experience ive had. Km renovals were late, didn't complete the job, left early to clock off sooner, damaged a few items and were very unprofessional. Caused a serious amount of worry and stress in what should have been a fairly easy move. Would not recommend to anyone. Both men were very patient, helpful and polite. The two men that helped me move were absolutely wonderful, really quick and efficient, excellent job and so friendly and polite! Couldn't be happier. K M Removals are fantastic. I was so stressed and running behind time that it could have been awful. My driver and his colleague made me feel at ease, got everything done easily, quickly and professionally. They were terrific! 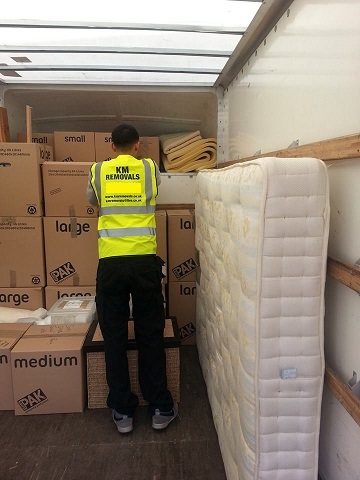 I chose KM Removals LTD because they had such good reviews on the website. I was therefore expecting a good service, but that went beyond my expectations. They arrived on time with a big smile, they were very friendly and they took good care of our belongings. They were very professional and efficient. I would definitely use them again and would recommend them to anyone. Our driver was fantastic, arrived early which suited us perfectly and was more than willing to help pack our things even though we hadn't requested it. We were very happy with the service and would fully recommend in future. I would deflently use them again very helpful and hard working,mad our move go without a hitch. Thank you. They were professional and friendly. An absolute pleasure. Would definitely use them again. There was terrible traffic so it was not the drivers fault that he was a bit late. Very nice and helpful. We were given a driver and helper despite only booking one person, which was a nice surprise as the job was done very quickly. He was an extremely friendly and interesting guy. He refused to take a tip. He was late but he did warn me, and made sure the clock started at the right time. They worked hard and very very polite. They broke a chest of drawers. Were very apologetic about it though. Otherwise would have been 5 stars. Was over 2 hours late, the sofa they delivered was not covered or strapped in. On the plus side the driver rung me to tell me he was running late. But not this late! Fantastic service......super polite and helpful drivers, very conscientious and nothing seemed too much trouble. Would definitely recommend. I had a really lovely driver. However I paid for a driver and helper and no helper had been booked. This was very stressful on the day as the job could not be done without a helper (hence me ordering this in advance). The company could not find a helper so offered to cancel which I obviously could not do as I had to move house that day. The driver and I had to pack all of heavy boxes on our own out of my original flat and my driver kindly found someone to help. Had it not been for my driver going the extra mile I would have not been able to move despite my tenancy ending at my present flat. Nick, Sayid and Moses were really great. They loaded all of the furniture and equipment from my garage quickly and efficiently. When we reached our new house they also helped me unload my own van. First Class service. 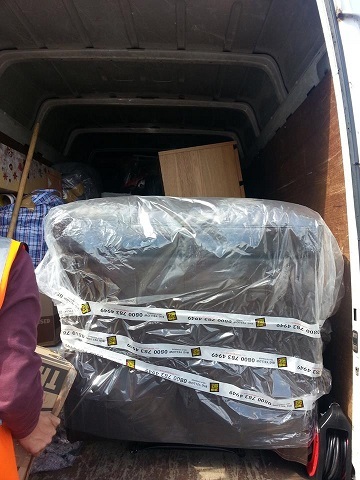 The movers were absolutely brilliant and worked hard to finish quickly. They didn't bat an eyelid as I panic packed around them and went above and beyond. The guys worked very hard, they were quick, careful and friendly. Eddie and Sayed (KM Removals) very polite, prompt, looked after all items, quick and efficient. Will use them again for all future moves. Great friendly service. Would recommend and use again! Excellent and very courteous service - very pleased! Nick and Moses were fantastic! Really nice guys who were incredibly courteous and polite the whole way. I honestly cannot fault them, people like Nick and Moses are true honest hard working guys, i wish them all the best! Many thanks! Fantastic service, lots of communication and updates on the lead-up to the move and on the day itself. Nick arrived an hour early to ensure they weren't late and managed what I thought would be tricky move back and forth between 3 separate addresses extremely well without a hint of difficulty. 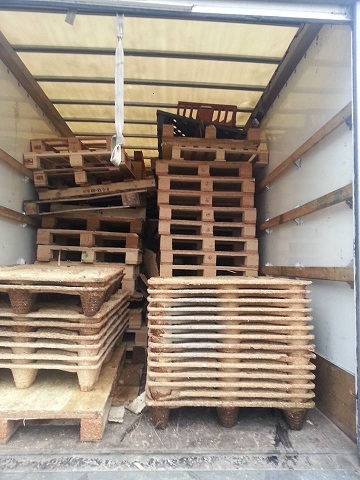 Everything was carefully transported and unloaded. No issues collecting and loading from a storage facility without me being there to advise, which was a great help. Many thanks - fully recommended. Eddie and Manute were great! They arrived with a ' can do ' attitude and got on with moving a heavy piano with care and skill. Would definitely recommend them. Absolutely fantastic service. On time, incredibly polite, knew how to pack the van so everything fitted and arrived safely. What meant a lot was that the driver kept me (the lady who made the booking) informed throughout rather than speaking to the man of the house, as others tend to do! Will definitely recommend and use again. Thank you for making a difficult day so easy. Nick and his team were amazing. Super efficient. Super organised. Any problem they encountered getting big furniture out, they found a solution. Nick knows his stuff about electrics and plumbing so was able to give advice about washing machines and fridges etc. We could not recommend these guys highly enough. And for such a reasonable price. Thanks guys. Late start due to M25 accident but I was given a 20 minute additional time allowance from when he arrived - that's true customer service. There were four places to visit picking up and dropping off. All done with care and courtesy. Absolutely full marks to Nick. The whole process was so easy. Many, many thanks for making our moves so trouble free. Thank you to Nick for a very efficient service. Very friendly and professional. Great job! Overall really pleased with the service provided, would definetely recommend them. The move was very smooth and timely. There was a small issue with address which caused a delay in starting but once on the road it was quick. I had quite a few heavy bags that needed to be moved up 3 flights of narrow stairs and there was not a murmur or complaint. Would definitely recommend. Extremely nice draver and mover. they moved all my boxes to the 5th floor with no lift without complaining! not the fastest movers I have ever had, and left my tennis racket behind in the old flat (found it in the hallway in the old building), but besides that would definitely recommend! The driver couldn't be on time because of the traffic but he communicated to us that situation. The van could have been in a better condition but the service went all good. Eddie is a really good driver and was very kind to us. Punctual .. Fast and Efficient.. and exemplary manners!... 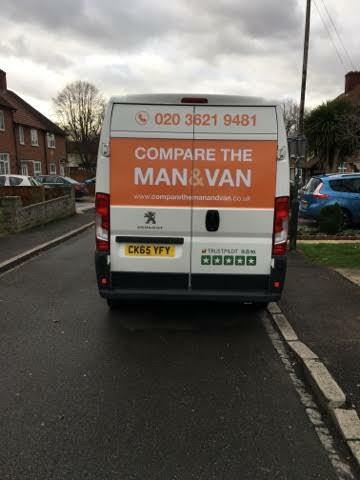 So much more than just "a man/ with a van"
i was very happy wih the service, the driver turned up exactly on time, handled everything with care and was very customer-friendly. i have kept their number for next time and will recomend them to my friends. Placide and his colleague were brilliant. I was dreading the move, but they made it easy. So positive! I will recommend to others. The Luton van provided was old. 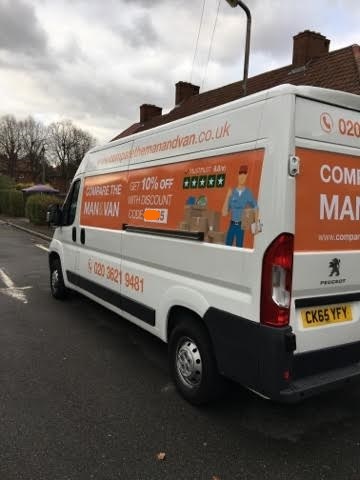 The Luton van provided was far smaller that a modern luton van and as such we had to move in two trips resulting in additional cost die to overrunning by 30mins. The collection time was changed from 2pm to 1pm and confirmation was received to ensure this was agreed. However, the Luton van did not arrive until 2:45pm, which impacted significantly on the time we had to unpack and make the new house feel like a home. As such, we are now surrounded by boxes and cannot enjoy our new home in the way we had planned. Great service and extremely helpful and polite! Would definitely use again. I booked the van for 2 hours as we were only moving from a one bedroom flat. The overall move took 6 1/2 hours. While I accept that I did underestimate the time it would take, I do not accept that I underestimated it by 4 1/2 hours. Your 2 men were pleasant and hard working but extremely inefficient. 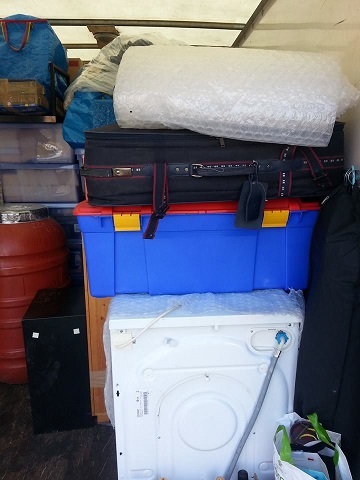 I ordered a luton van as when I moved my partner from her 3 bedroom house we hired a luton van and managed to get everything from her 3 bedroom house into it. This was myself and 2 friends who are not professional movers. Much of this we had to leave at my brothers as it would not fit into our one bedroom flat and this was brought down this time in a separate van by my brother. Despite this the movers were unable to fit everything into their luton van in one go and had to make 2 trips. The first trip consisted of 1 2 seater sofa bed, 1 3 seater sofa, 3 wardrobes, 1 chest of drawers, 1 double bed and 4 small bedside cabinets. This took 4 1/4 hours to load and unload with a driving time between properties of only 5 minutes. While I accept that some of the space moving from room to hallway and hallway out of the property were tight (The entire reason I hired supposed professionals) I still find this a completely unacceptable time for professionals to take. I had informed the movers that we may have to remove the arms from the sofa's to get them out before they started as I thought that I remembered the delivery men having to do this when I bought them. This advice was ignored and while I was at the new property dealing with the virgin media installation while my mother stayed at the other property with them they struggled and struggled to get the sofa's out in one piece. This also caused them to not secure the bed in the sofa bed properly which flew out seriously damaging my living room door putting a large hole in it. On arrival at the new property my 3 piece fabric sofa was left propped in the rain outside as they said they couldn't get it into the new property. I then had to phone dfs myself who I had bought the sofa from for advice on how to take the arms off to get it in. I told this to your men and we did this and got it in. Had this been done originally at the first property then at least an hour could have been saved and a door saved. At the end having been charged an additional £247.50 on top of my original £140 payment (although your driver originally tried to charge me for the amount I had already paid up front as well) the drivers credit card reader would not accept payments. I tried 2 different cards both of which had plenty of funds available but there seemed to be line problems with the machine. This meant I had to drive to a garage followed by your drivers to get the cash from a cashline machine, I gave your driver £250 and instead of offering my change he just filled in the receipt for £250 and not the actual £247.50. Had he offered me the change I would have told him to keep it but to not be offered was just the final straw of a very poor experience. On top of the door I also discovered later many scuffs to walls, sofa's covered with paint transfer and that a bannister strut and been snapped clean through. This could not have taken longer and with any more damage if I had hired a van and got a mate to help me. I had hoped that paying (£390 in the end) for this move would have meant more efficiency and less damage but was totally disappointed. I will never be using your services again and will be recommending to my colleagues on the railways to avoid your services like the plague. Despite the delay in getting to us, the move was done quickly and efficiently. Thank you! Ed and Vinay were fantastic, friendly, professional, didn't take a step backwards, solved complicated conundrums about how to get our wardrobes up a narrow flight of stairs. Seemed to love their job. I would recommend them to anyone. Simon and his colleague were outstanding. They could not have done more and were friendly courteous and respectful. I would recommend them without hesitation. Brilliant! Wouldn't move with anyone else! 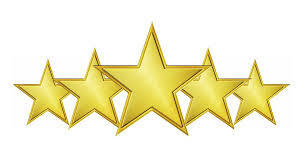 We found the driver extremely considerate and efficient, well mannered and very personable. We would definitely recommend this removal company to others. The van was delayed because of a road accident but they kept me updated at all times. Efficient and professional service. Eddie was super helpful and organised. He was a pleasure to work with! It wasn't an easy move but he kept going and made it so much easier. Would definitely recommend! Couldn't have been two nicer and polite men. So willing and considerate, couldn't rate them highly enough. Very very pleased with their level of service. Eddie was a great guy! I was very pleased with your service! Thank you very much! 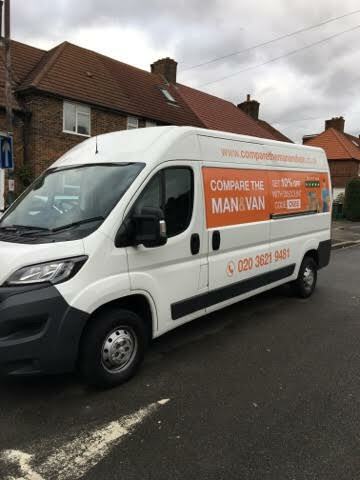 I would like to say a huge thank you to Compare the Man and Van + KM Removals, it was the easiest on-line booking i have ever made and the guys who helped me move were fantastic, great communication from start to finish i would highly recommend this service to other people moving. Simon and Ed were brilliant, they couldn't have been more courteous or helpful. Would definitely use again, without hesitation. Great driver, very polite, very helpful, couldn't have been any better!